There are also people who buy tickets worth $1 million or more who never collect their prize money. Besides the two jackpot winners who split Tuesday's $636 million Mega Millions, the drawing produced 20 other winning tickets worth $1 million. But there's a good chance some of those might never be claimed. 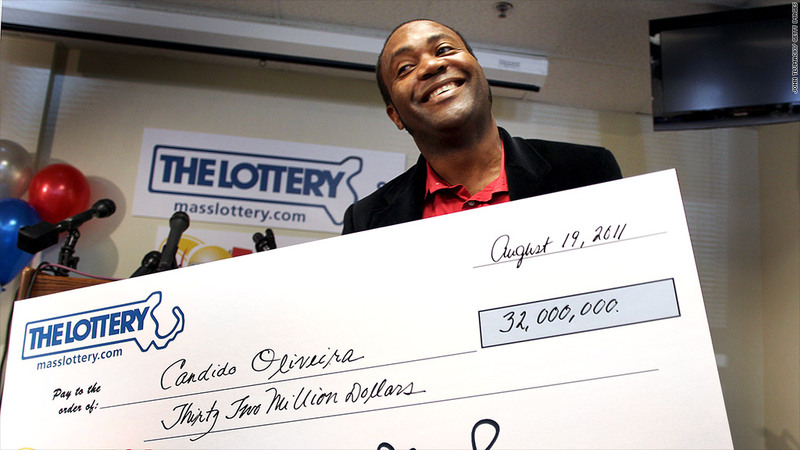 Each year, about $800 million worth of lottery prizes are not collected, according to gaming officials. That represents about 2% of total prize money awarded. A year ago, when Powerball got up to a then-record $587.6 million, at least two of the $1 million second prize tickets were never cashed in. New York State alone had $65 million in prizes go unclaimed in its most recent fiscal year, while California had another $22 million in unclaimed prizes. Many of these winning tickets are worth only a few dollars each. But there are also people who buy tickets worth $1 million or more who never collect their prize money. Tuesday's winning tickets were purchased in Atlanta and San Jose. Many occasional lottery players who were drawn in by the big jackpot, and who bought tickets elsewhere, will hear where the winning tickets were purchased, realize they didn't get the jackpot, and never bother to check to see if their ticket won a lesser prize. Even in the weeks when no one wins the jackpot, many don't check their tickets. And they may be missing out -- more common lesser prize can be considerable. Mega Millions raised the payout on a second place ticket, one which has five of the six numbers correct, to $1 million in October, matching the second place payout on Powerball. Both lotteries also allow players to pay extra to increase the payout of the lesser prizes by up to five times. But lottery tickets aren't good forever -- they must be cashed in by a deadline, generally between 3 to 12 months after a ticket is purchased, depending on the state. "You just hope for their sake that they never know they missed out," said Connie Barnes, communication director for the Florida lottery. New York has two $1 million winning tickets set to expire in the next six weeks. One was purchased Jan. 4 at Star Wines and Liquors in upstate Monroe, and the other was bought Feb. 2 at C&C Discount store in the Bronx. But while there is still time for those winners to come forward before the state's 12-month deadline, other states have had five potential millionaires fail to cash in their winning tickets in just the last two months. Two million-dollar Powerball tickets that were purchased when the jackpot hit $587.5 million last year were bought in New Jersey. They expired unclaimed in November. Another $1 million Powerball ticket purchased last March in Florida expired in October. And a winning ticket in a Florida state game expired earlier this week. Related: $58 billion unclaimed - is some of it yours? Perhaps the biggest uncollected prize this year was a Powerball ticket worth $10.4 million purchased in Tampa last May. The ticket expired in November. Unclaimed prize money either goes back to the state where the lottery ticket was purchased, or goes into a pool of money for special jackpot winners.